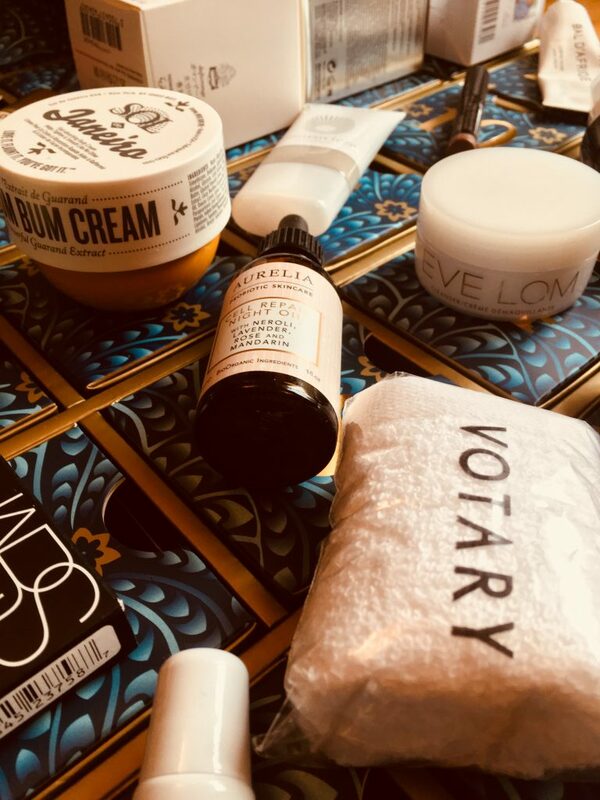 Now that the most wonderful time of the year, Beauty Advent Calendar Season, has passed, let’s talk about what we thought of this year’s crop. And – more importantly- what would we like to see in next year’s boxes of delight? What a fantastic collection of loveliness, all the way from meh (lip balms! I have a million of those!) to overkill (three cleansers! but I only have one face!) to absolute treats (the amazing perfume! red lipstick – the star of the show!). There were lots of well known brands, plus plenty I’d never encountered before. Who knew that Bum Bum cream could keep you smelling amazing all day long? Or that eyebrow oil could prove to be more necessary than you might think? There were a few duds, in particular the Surratt eyeliner which is simply too soft to use, and the aromatherapy rollerball that manages to smell of nothing within 5 minutes. But there were far more hits than misses and I’m really happy with the final haul. The full value of the contents is £504.14. Liberty advertised this calendar as including “15 full sized products” but as you can see, there are only 13, and 3 of those are travel sized minis. I don’t mind that so much; there’s a limit to what anybody can put on their face. Though if you were intending to recoup the cost by selling some of the contents on eBay, as many people do, you might feel shortchanged. I paid £175 plus £4.95 postage, so £179.95 in total. The Liberty Beauty Advent Calendar sold out within 3 days, as it always does. So if you are reading this with an eye to buying it next year, bear in mind that you’ll have to be very quick off the mark. 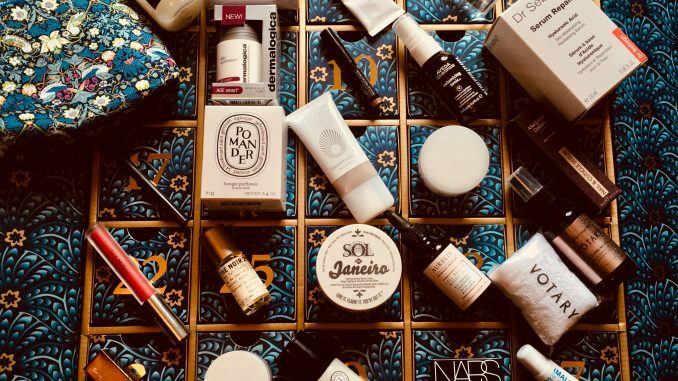 A common complaint amongst purchasers this year was repeats – both the Marks and Spencer and Liberty Beauty Advent Calendar were seen to contain too many products which also featured last year. But these are both department stores with relatively small beauty departments, so 25 brand new items every year is always going to be a bit of a stretch. If you see these calendars as a way to try out new products, as I do, then the smart thing seems to be not to buy the same one every year. 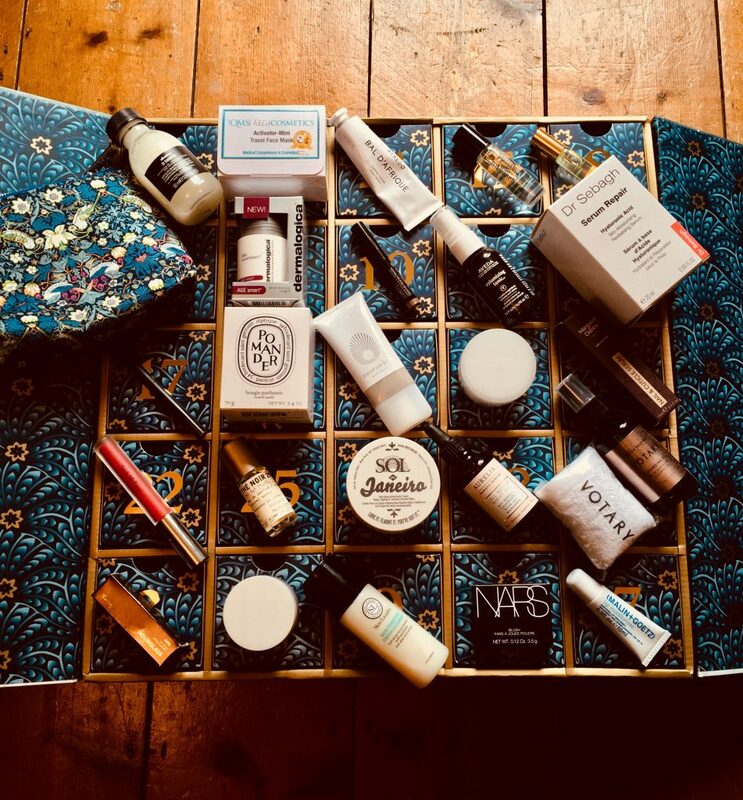 The most positive word of mouth this year seems to have been for the Look Fantastic beauty advent calendar, so I’ve already got that in mind for next time. Speaking of word of mouth, I think Liberty missed a trick social media wise by having a less than exciting first week to this calendar. If that red lipstick had been in Day One then we would all have been sharing it on Instagram. As it was, the level of buzz was quite low, as evidenced by the fact that the top Insta pics under #libertyadventcalendar are still from the 2016 version.